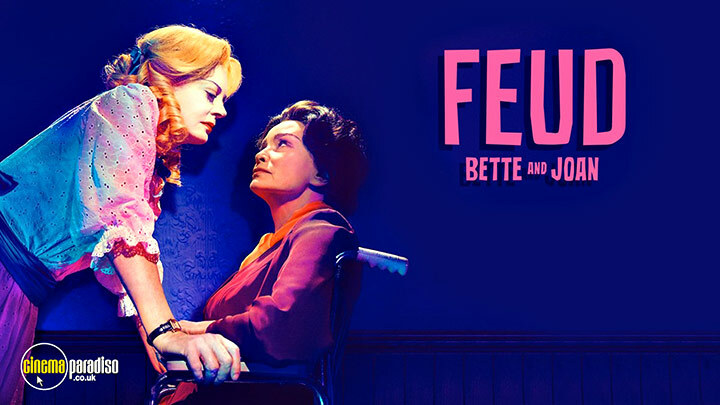 Feud is an American biography/drama and anthology TV series depicting famous feuds between people of high caliber and status, including those between Joan Crawford & Bette Davis, Princess Diana & Prince Charles, and more. The show stars Jessica Lange, Susan Sarandon, Jackie Hoffman, Alfred Molina, Stanley Tucci, and Catherine Zeta-Jones among other actors. Jessica Lange, Susan Sarandon, Judy Davis, Jackie Hoffman, Alfred Molina, Stanley Tucci, Alison Wright, Catherine Zeta-Jones, Kathy Bates, Kiernan Shipka, Mark Valley, Reed Diamond, Ken Lerner, Joel Kelley Dauten, Raleigh Adams, Robert Arce, et al.